Last year the Gatsby Charitable Foundation launched Good Practical Science, a report outlining 10 benchmarks for secondary schools to transform practical science education. The report, led by Sir John Holman, a chemist, former headteacher and senior advisor to the Gatsby Foundation, provides recommendations to help schools achieve world-class science education. As well as looking internationally to countries known to provide good science education, including Finland, Germany and Singapore, the report also looked at more than 400 secondary schools in England to gauge the status of practical science here. Those visits included a trip to my school, All Saints RC School in York, which was praised as an example of best practice for the role played by extended investigative projects in year 12. Extended investigative projects in this context are defined as investigations with no predetermined outcome lasting more than one week. At All Saints, our emphasis on both academic and personal development is reflected in our approach to the extended practical science investigations. We see the extended project as an opportunity to engage students in science while boosting independent learning, creativity, communication and team-work skills. Having led the delivery of investigative projects for three years, I’ve seen pupils grow exponentially in a short space of time using a simple core theme. They gain an increased sense of independence, creativity, problem-solving, time-management and other skills related to the world of work, such as planning, looking after equipment and tidying up after yourself. The project also provides an environment for students to make mistakes and learn from them, which is crucial to any scientific practice. In my experience, students who have tangible experiences that illustrate real-world applications of their learning are better able to retain that knowledge. Extended projects provide students with the opportunity to test out their own ideas and improve their understanding through independent practical work. Setting the project with links to experience that they may already or one day will have, also helps to better engage pupils in what they’re learning. How do you run an extended project? 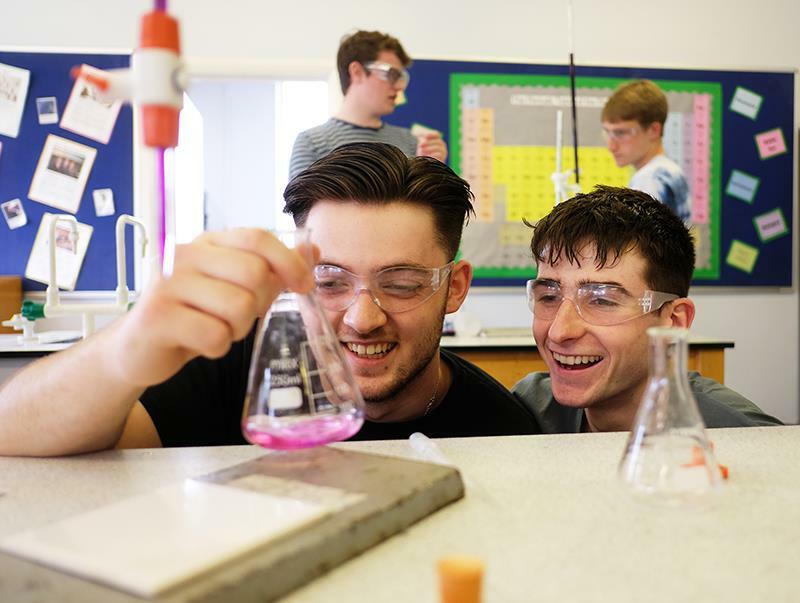 In collaboration with my chemistry colleagues, we have built a two-week project into our AS level chemistry programme of study which takes place over two weeks in July, after their exams and before the summer holidays. The time of year allows for a single lab and a prep room to be utilised primarily for this work. The two-week project is like an accelerated version of the A level, with students making significant gains over this intensive period. We theme the project around the iron content of different foods and place emphasis on how learning relates to the real world, for example careers in science or day-to-day questions about personal nutrition and health. The theory is then referred back to, and if time permits repeated, in year 13 as part of their exam preparation. Pupils look at the amount of iron in different varieties of five iron-containing food groups. Each person in each group completes the investigation for their selected variety of food. For example, in a group responsible for green vegetables, one pupil may be investigating spinach, another green peppers, another broccoli and the last peas. Results of each individual investigation is shared within the group, whereby all results for that food group are collated and presented to the class. Presentations are required to reference any issues that arose, how they were overcome and include a conclusion as to both the variety with the highest iron content and the variety that is most cost-effective. Audience members are encouraged to “peer review” the findings presented, with questions usually revolving around the calculations involved. Finally, the class considers all of the results and each pupil writes their own conclusion, including any cost implications – for example, shiitake mushrooms may be the best option, but are they cost-effective? Why should your school take this approach? Although funding constraints limit the availability of top quality lab equipment at All Saints, our staff make excellent use of the available facilities, pooling their ideas and collaborating with lab technicians to maximise outputs for students. It is great if a student knows what a “control variable” is, but can they communicate it to the person sitting next to them? Can they work together to identify a common plan to achieve their goal? In that sense, we have to balance knowledge with soft skills development. Lisa Niven is assistant subject leader in charge of chemistry at All Saints RC School in York.